The Olympus Pen cameras have been all over blogs lately, I had been after a smaller camera for a while as my Canon 600D is pretty bulky if I'm carrying it with me in my handbag and since I had heard loads of great things about the Olympus Pen, I decided to buy it. At first I was a little unsure about whether I had made the right decision, it is very different to my Canon which I have had for almost four years so I'm used to working with a much bigger camera. However after I played around with it more, I began to fall in love. If like me, Instagram is a big deal and the quality of photos is important; this is a god send. The simplicity of being able to snap amazing quality photos, and then send them straight to your phone within seconds to edit and then post is brilliant as I don't like using my iphone for Instagram photos, personally this feature alone would sell me this camera. Another amazing feature is the remote control, perfect for outfit photos or groups photos, you can connect the camera to your phone, and use your phone to focus and take the photo. I always struggled with my DSLR to take these kinds of photos, mainly because my remote never seemed to work and I could never get a photo I was happy with, however with this camera, I can check my photo is perfect before I snap from afar! The flip down screen is also a bonus for me, my Canon also has this and I find it so helpful when shooting flatlays as I can easily see what is in shot when my short arms are attempting to take a photo from above! The camera comes in three different colours, while I originally liked the cream one, I ended up going for the retro and classic looking silver and black, which I'm really glad I went with in the end! I went for the cheapest option at £399, however I had a 25% off code so ended up paying only £299 (tweet me if you would like the code and I will try and find it!) which I thought was a brilliant deal. Overall I am loving this camera, all my Instagram snaps are taken on this and the quality of my feed has definitely improved since buying this. If you are after a camera either for blogging, instagramming or just a general camera to pop in your bag, I would 100% recommend this nifty camera! 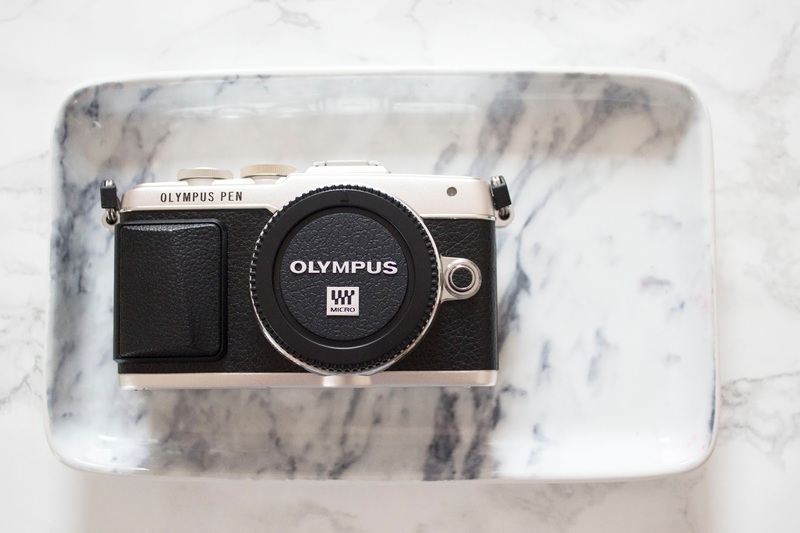 What do you think of the Olympus Pen Cameras?